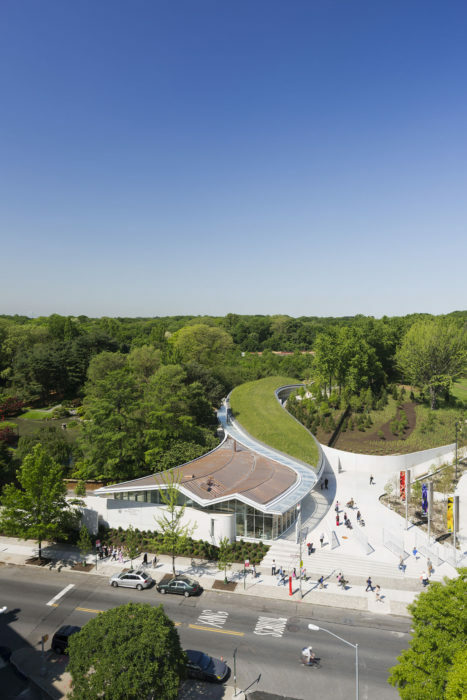 The Brooklyn Botanic Garden Visitor Center, designed by Weiss/Manfredi Architects, is the centerpiece of the Garden’s Master Plan for its next 100 years of service. With an undulating facade in plan, it follows the contours of the existing berm into which the building is sited. 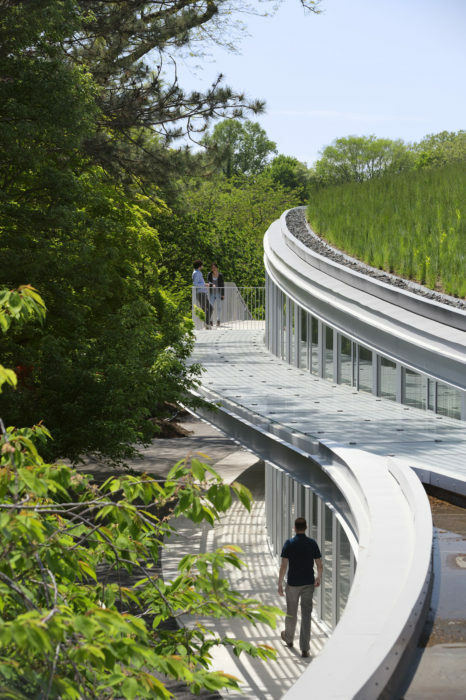 Visitors within the center never lose site of the surrounding gardens, and its design is seen as a seamless extension of the landscape. 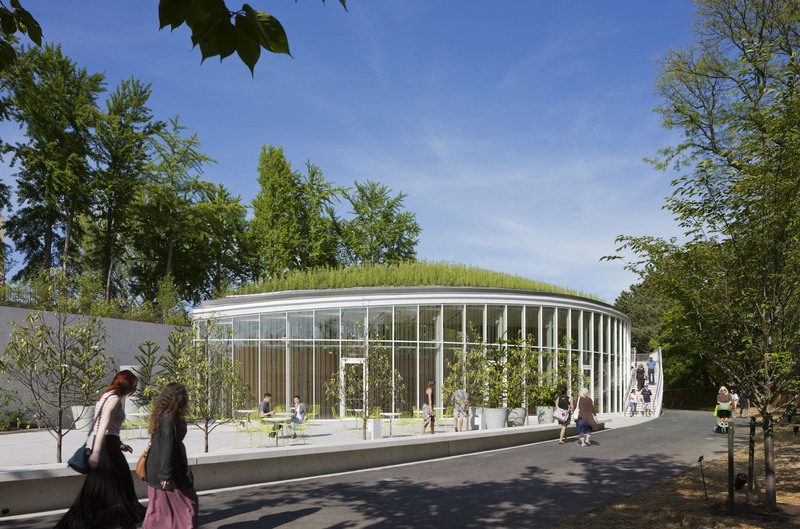 The glass curtain wall is instrumental in achieving this effect, mediating between the interiors and the surrounding garden with low-e insulating glass units. Each unit features a custom ceramic frit pattern designed to deter local birds from colliding with the glass while reducing heat gain and optimizing natural illumination. 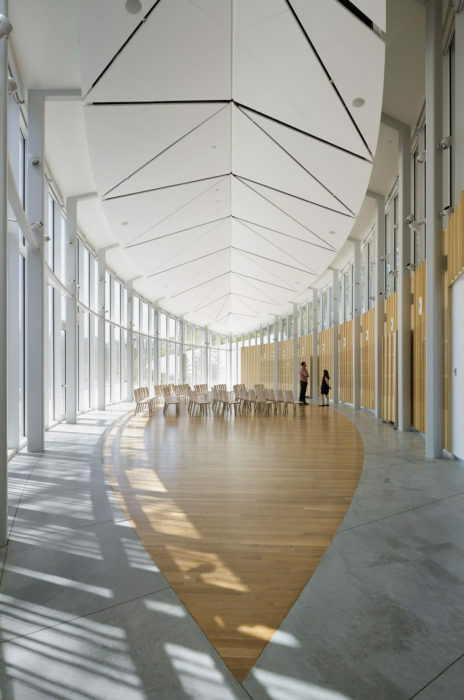 The subtler curves of the facade are achieved with flat glass, while the tighter curves use curved glass. Slender T-shaped mullions support the glass, and profiled vertical exterior caps emphasize vertical reading of the facade. Heintges assisted in detailing the curtain wall system, including the penetration of the curtain wall where structural steel outriggers support a glass canopy. 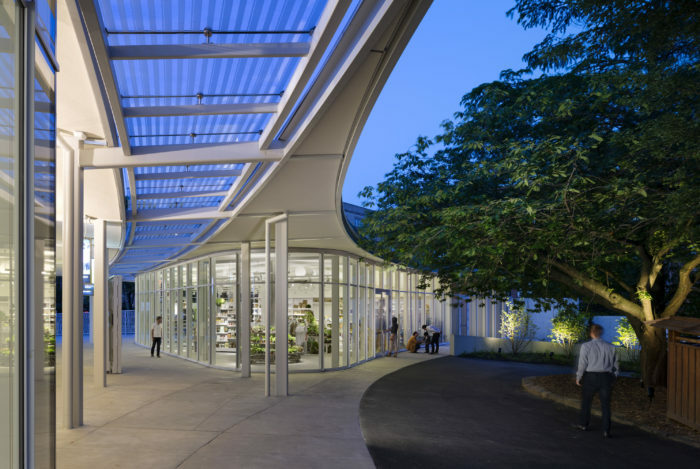 Composed of 46 custom ceramic fritted low-iron laminated glass units in a curved pattern, the canopy allows for natural light to filter through the entry’s covered breezeway while further minimizing heat gain.